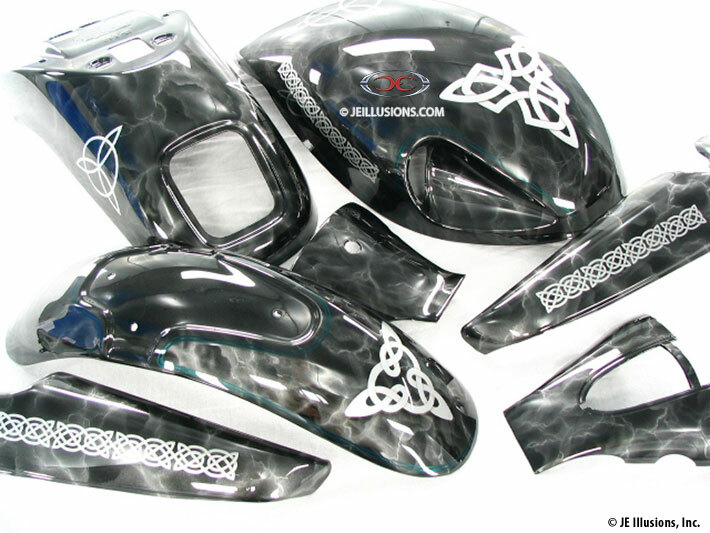 This set is set off with a brilliant, hand air-brushed marble effect over a jet black under-base. 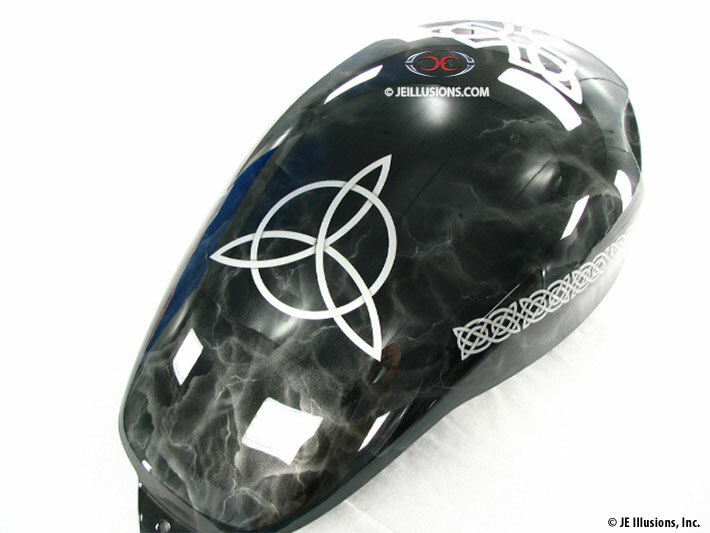 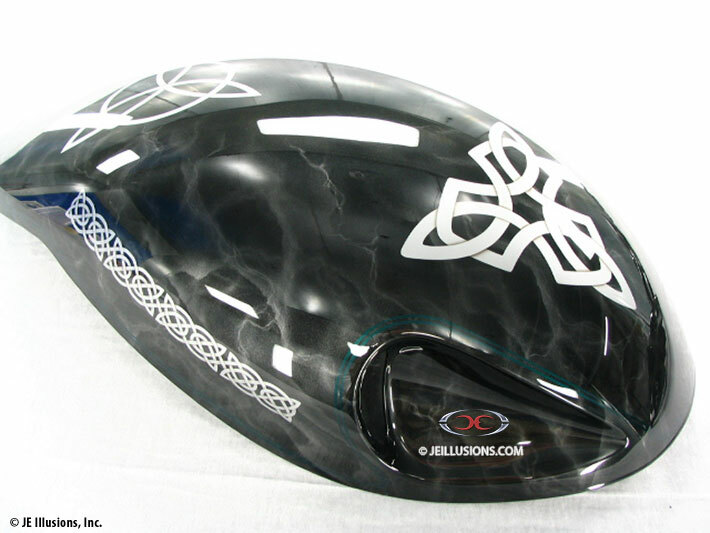 The graphics were custom designed and airbrushed to create the Celtic inspired artwork. 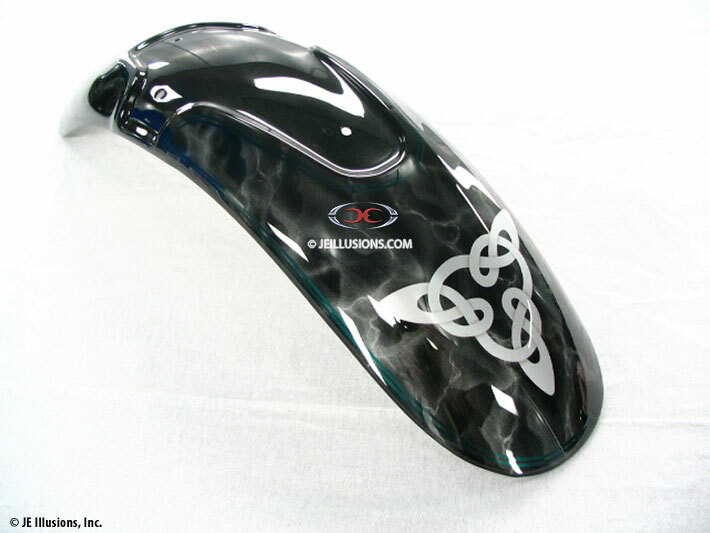 With Celtic bands located on the tank and other parts, and The Trinity Celtic Knot located on the sides of the back fender.